With so many young people taking on internships and entry-level positions, effective communication is crucial if you want to stand out. 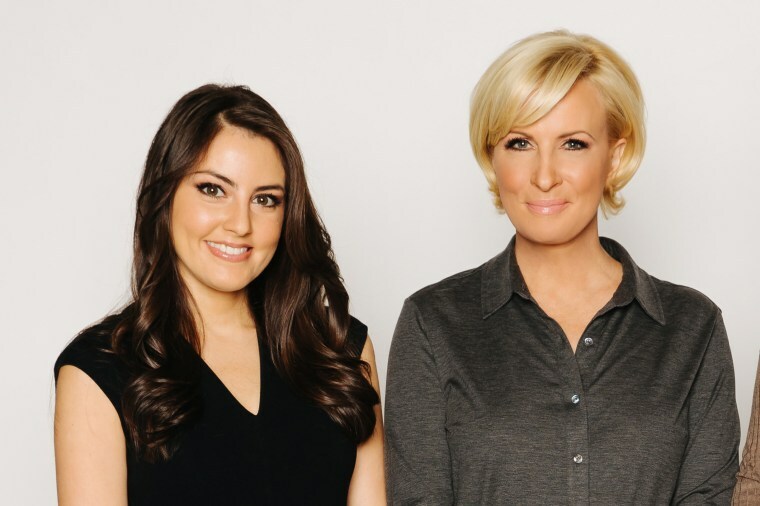 Mika Brzezinski and Daniela Pierre-Bravo’s book, "Earn It! Know Your Value and Grow Your Career, In Your 20s and Beyond,” will be out May 7. Pre-order your copy here. Yes, you need to work hard. But it’s also important that you don’t take this guidance too literally, or you’ll risk going unnoticed. I’ve seen several interns make this mistake. Sometimes, we get incredibly smart and driven people who do good work but end up sinking into their desks, typing away without engaging with those around them. They stay a few months at the job, eventually rotate out and are barely remembered. With so many people taking on internships and entry-level positions, you may be asking yourself: how can I stand out? Part of getting ahead in your career is being able to advocate for yourself, and one of the best ways to start doing that is working on your office relationships. You don’t have to be best friends with everyone around you, but creating respect and being engaging can take you far. Although it’s intimidating to start in a new role, it’s important to understand your work culture. For example, does your manager prefer in-person meetings over email? How often does he or she want to see your work? It’s also a mistake to not ask questions about how a task should be executed. For example, if you are asked to complete a report or deck, is there a preferred format? If you are working as support staff, does your boss work better with color-coded notes? If you’ve been asked to run an errand, are there logistical details or time sensitive deadlines you need to consider? In an ideal world, your boss would explain every detail, but asking specifics beforehand shows you’re pragmatic about your work and it’s a great way to show you’re an effective communicator. In our upcoming book, “Earn It! Know Your Value and Grow Your Career, In Your 20s and Beyond,” Mika Brzezinski and I dedicate a whole chapter on effective communication in the workplace. Being a successful communicator, after all, really helped my career as a booking producer for “Morning Joe” and allowed me to earn respect and trust from Mika. In our upcoming book, we point to research that shows having your phone in front of you (even if you aren’t using it!) takes energy and cognitive resources away from effectively engaging in the task in front if you. It also (unsurprisingly) distracts you from those conversations you are having in real life. In can be easier to hide behind your computer, but resist it! In certain scenarios sending an email is necessary. But be conscious of the times you are choosing to bypass connecting over the phone and in person. Taking opportunities to engage and use your voice will give you the practice you need to become an effective communicator. In “Earn It,” we share the story of a shy assistant whose career started to take off when he got people on the phone and allowed them to actually hear the sound of his voice. Now that assistant is a music executive. The takeaway? Face-to-face interactions are key in helping you connect with the people around you. We all know people who are great at grabbing someone’s attention. But remember: you don’t necessarily need to be an extrovert or super outgoing to connect with someone. Active listening and having an authentic sense of curiosity can help grow your social fluency. The most important part of a conversation (that people actually remember!) is that it needs to feel genuine. Feeling tongue-tied on what to say? Ask a follow up question! It shows you’re listening, are interested in what they have to say and will take the pressure off you. What you are saying with your body also matters. Try leaning in when someone is speaking, listening intently and taking cues from those around you. When you are starting out you want to make sure that, even if you’re sitting at your desk typing away, that you are present. Stay physically open and engage with those around you instead of hunching over quietly doing your work. You don't want to be overbearing but you also don’t want to go unnoticed! Daniela Pierre-Bravo is Know Your Value's millennial contributor. Follow her on Twitter and Instagram.